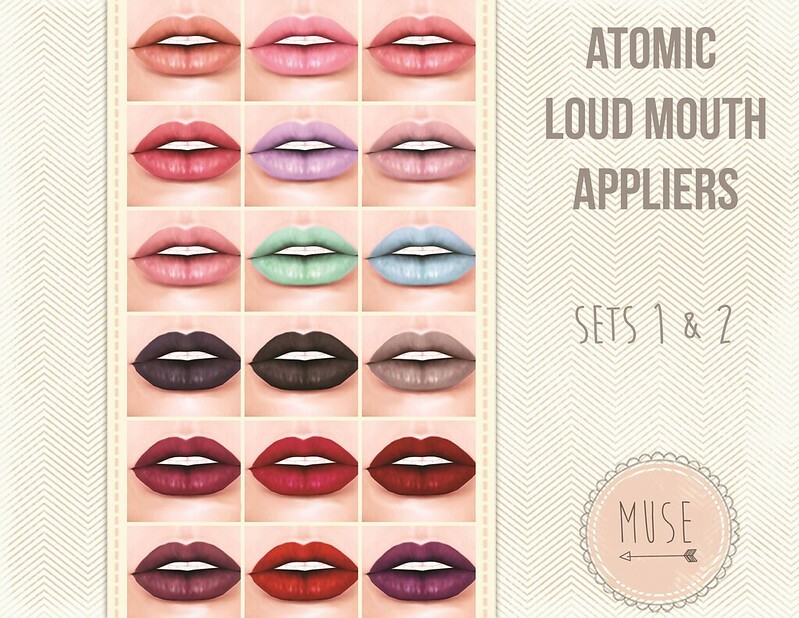 I am so excited to be showing you this beautiful, new skin release, Muse, from Atomic. Ivy Graves is making her unique and adorable skins again and you have got to check them out. Muse is available in 6 different skin tones: Milk, Sugar, Creme, Honey, Latte, and Mocha. Each skin also has two different lid options, a creased and a mono lid. 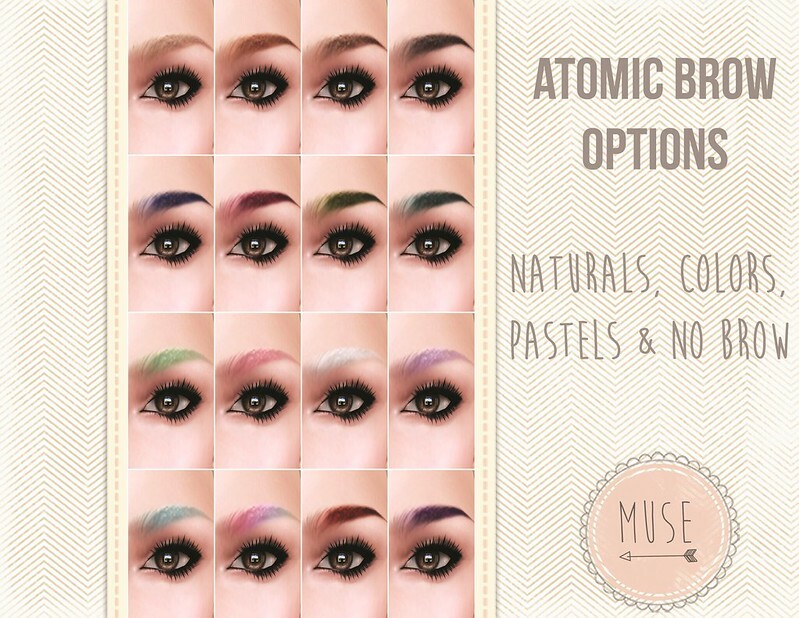 There are also 5 brow options included with Muse, blonde, red, brown, black, and no brow. You can also purchases other brow options in colors and pastels and lipsticks. The lipsticks are available in the form or tattoo layers and Loud Mouth appliers. I’ve finally gotten around to playing with the Loud Mouth more and I am really enjoying it. There are 2 sets of lipsticks for the Loud Mouth appliers and 9 colors in each HUD.